Announcing Jump Jolt, my latest game! I’ve had very little time since Holey Suit to do any game dev, but things took a turn after the Shenanijam 2018. During this game jam, I produced a simple yet elegant physics based jumping game, StickAss. I decided to carry on the project, give it a bit more love and polish, and a new catchier name. 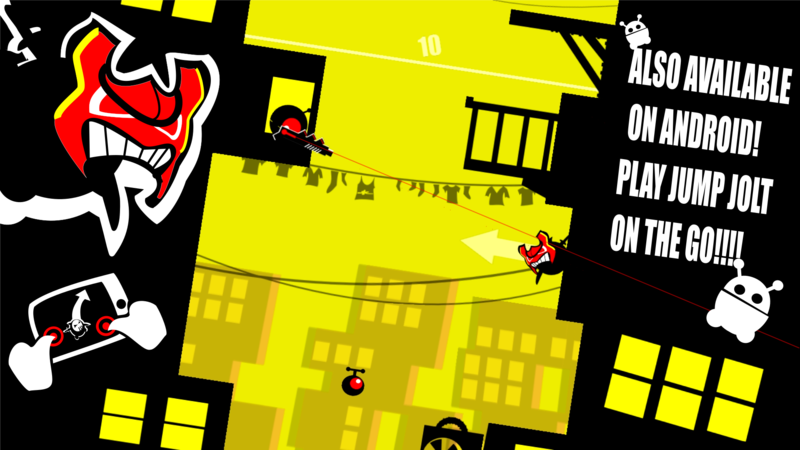 So brace yourself for some parkour wall jumping action on PC & Android! Get it on Itch.io, GameJolt or Google Play. I was really happy with my submission for the Shenanijam 2018 game jam, StickAss. The game scored #5 in the jam and was even played by the BScotch bros! Although the game was a simple physics-based jumping game, gameplay felt real good and I decided to spend more time on the game. My first intention was to release a polished version of the game on itch.io, but this slowly evolved as I realised the game played well on mobile too. 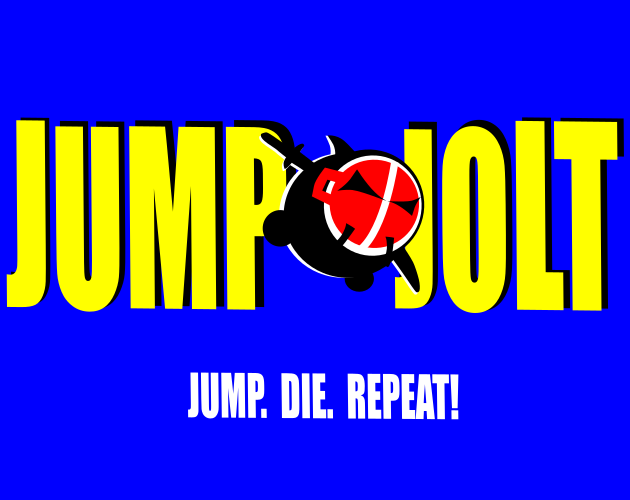 So here is the announcement: Jump Jolt is out on PC and Android this week! The game will remain free on Itch.io & GameJolt. I decided to opt for a premium approach on Android, for a number of reasons. I’d like to try and recoup the associated Game Maker license cost. That mobile export isn’t cheap! And I want to test the market first-hand and find out if I can make this a commercial success. By which I mean I’d be happy if the game reached a few hundred downloads. Wish me luck! Involuntary making the Jump Jolt to Indie! I thought I’d use that short post to blog about my personnal circumstances. Quite a few things happened around the Shenanijam. Firstly, and on the happiest note: my baby girl was born shortly after the jam. This completely rocked our world in the best possible way! Yes, sleep deprivation is a bummer, but it is repaid a thousand fold in gurgles and smileys! I am slowly adjusting the new life balance, finding time to game or make game is tricky, but I wouldn’t change it for the world. My professional circumstances also changed drastically around the same time as I was made redundant. This isn’t all bad news. This made for an extended paternity leave! It was absolutely great to spend extra time at home, getting to grip with parenting. It also gave me a few weeks to plan my next move. Find a job as an employee doing something similar, go full time indie, or else? As it turns out, I think I found a best-of both worlds approach! I officially started a LLC company through which I plan to do business. The main income will come from consultancy work, essentially what I used to do. But I’ll also explore making a living through game making, and unleash the indie game dev me! Now that HotchPotch Games actually exists as a legal entity, the plan is try and generate revenue in that ultra-competitive world of indie game development. The approach I took with Jump Jolt is a happy medium: the game is free on PC to hopefully gain some following, the Android version (play on the go) costs a few cents (£.79 exactly!). I’m hoping to test the market that way and start a portfolio of games on the Google Play store. If I get a few downloads, hooray. Getting a few hundred downloads would recoup the price of the Game Maker license. And if it makes over that target, happy days! This approach might turn out very naive, but hey – we’ll see. That’s it for now – go and try out Jump Jolt of Itch.io & GameJolt for free! If you like it,the game costs around the price of a pint of milk. Go buy it on the Google Play Store! 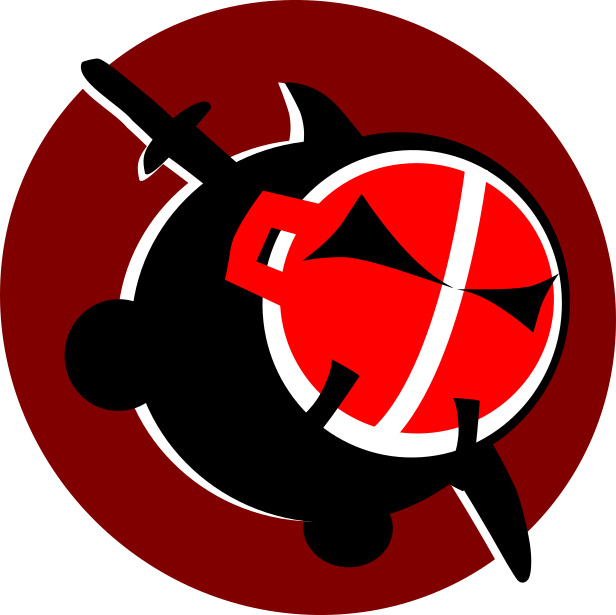 or try out the game on Itch.io, GameJolt or even Google Play!